van Rossum was one of the original petitioners in the landmark Robinson Township v. Commonwealth of Pennsylvania case decided by the PA Supreme Court in 2013 which strengthened environmental standing opportunities, declared unconstitutional key sections of the pro-drilling Act 13 legislation, and reinvigorated the strength of Pennsylvania Constitution’s Environmental Rights Amendment for protecting the right to pure water, clean air and a healthy environment for present and future generations. 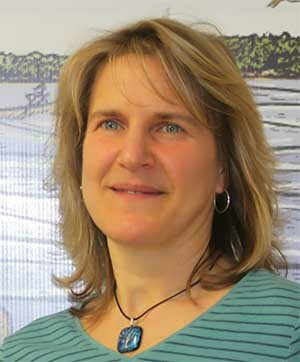 van Rossum was a petitioner in both in her individual capacity as the Delaware Riverkeeper and as leader of the Delaware Riverkeeper Network. van Rossum has been appointed by PA Governor Rendell to Pennsylvania’s Delaware River Basin Regional Water Resources Committee, by NJ Governor Codey to NJ’s Flood Mitigation Task Force, by the DRBC Commissioners to the Delaware River Basin Flood Mitigation Task Force, by DEP Secretary McGinty to the Pennsylvania Stormwater BMP Manual Oversight Committee, and to the Heinz Center’s Coastal Zone Innovations Committee. As the Delaware Riverkeeper, van Rossum also serves on a number of the region’s water quality committees, including the Delaware River Basin Commission’s PCB’s Implementation Advisory Committee and Water Quality Advisory Committee, and on New Jersey’s Stormwater Focus Group. van Rossum serves as a member of the Area Plan Committee and the Area Maritime Security Committee, both of which are committees of the United States Coast Guard, the Philadelphia Group. van Rossum is also a leader among her peers and currently serves as an Advisory Board member for the Clean Water Network (2014), a convener of water protection organizations from across the nation. van Rossum’s River expertise is also valued by educational and art organizations. For example, in April 2015 van Rossum was asked to join the Advisory Committee for the Art@Bartram’s Advisory Council to give input into an arts initiative designed to bring people closer to the Schuylkill River and Bartram’s Garden. van Rossum is a licensed attorney in three states: Pennsylvania, New Jersey and the District of Columbia. Since Spring 2002, van Rossum has served as an adjunct professor and director of the Environmental Law Clinic at Temple’s Beasley School of Law which she founded. van Rossum generally focuses her attention on adult and young adult audiences, but she will offer her time and passion for speaking to younger generations as well, with a goal towards inspiring their love and care for our natural resources. The Delaware Riverkeeper Network was featured on NJTV's program, "Here's the Story: Rivers". For The Generations: The Right to Pure Water, Clean Air and a Health Environment – An Inspirational Story of Constitutional Environmental Rights. The Delaware River’s story – a discussion of the past, present and potential future of the Delaware River and the communities that depend upon it. Gas Drilling, Fracking, and all the Infrastructure They Require – the status, the future, and what this means for our watershed, region and country. Critters of the River Basin and the Plights They Face. BBC World Service Business Matters, Regular Guest and Contributor. 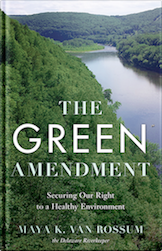 Law360 “We Need a Green Amendment”, Expert Analysis and Opinion piece, December 1, 2017. Live guest on Philadelphia talk show organized and hosted by Grid Magazine. One of two live guests debating the Delaware River Deepening project on WHYY Radio, also heard on NPR. Center, and the Land Use Law Center of Pace University School of Law. “Giraffe Hero” , “Because you’ve stuck your neck out to speak the truth no matter how unpopular that truth is.” June, 2008. New Jersey Flood Mitigation Task Force, April 2005 to 2006, appointed by Governor Codey. 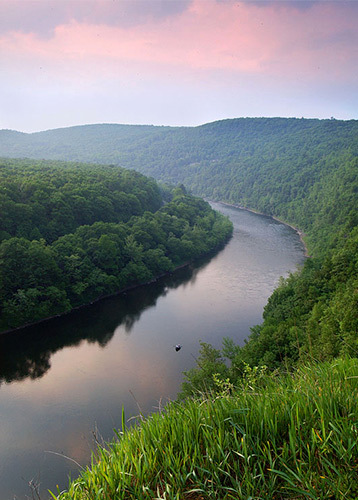 Pennsylvania Delaware Basin Regional Water Resources Committee, October 2003 to 2009, appointed by Governor Rendell for two terms (2003 & 2005). Delaware River Basin Flood Mitigation Task Force, 2006 to present, appointed by the Commissioners of the Delaware River Basin Commission. Pennsylvania Stormwater Best Management Practices Manual Oversight Committee, August 2003 to December 2006, appointed by DEP Secretary McGinty. Philadelphia Area Committee, United States Coast Guard, Group Philadelphia, December 2004 to present. Area Maritime Security Committee, United States Coast Guard, Group Philadelphia, March 2005 to present. Water Quality Advisory Committee, Delaware River Basin Commission, 2000 to present, currently serving as Chair for 2013/2014 year. PCBs TMDL Implementation Advisory Committee, Delaware River Basin Commission, August 2003 to present. Coastal Zone Innovations Committee, The H. John Heinz III Center for Science, Economics and the Environment, 2003 to 2004. Lower Delaware Wild & Scenic Management Plan Committee, and the Lower Delaware Advisory Committee. Pennsylvania’s Citizen Volunteer Monitoring Panel, PA DEP, 1996.